There are wide ranges of process for plastic sheet. To maintain the quality of those products, masking film (surface protection film) is one of the best solution. 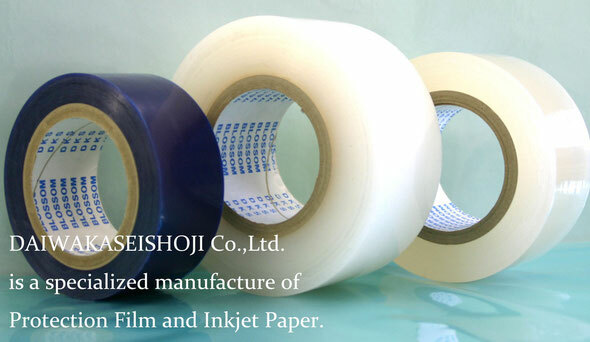 Our masking film includes anti-static, heat resistant masking film. Inkjet media is often used as information media. A lot of the medias have trouble of having bubbles in sticking them on. Broad Tack is bubble-free, good workability inkjet paper. First in the field we introduced NON-SEPA series as over-laminate film used in high tech printing label. NON-SEPA is eco-friendly over-laminate film.